Safety systems for long and large vehicles, such as recreational vehicles, are evolving from time to time. 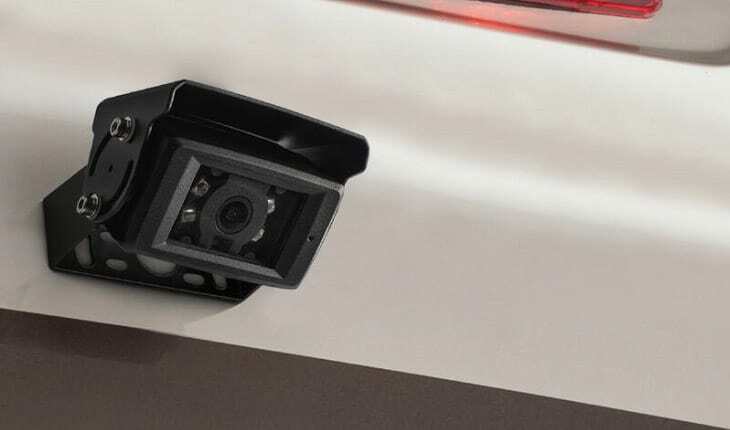 But in the recent years, there has been an increasing demand for backup camera systems for RVs, campers, trailers, trucks and buses. However, there are so many of these products online, so picking the right one can be challenging. And if you’re shopping around for the best RV backup camera, you should consider certain factors, including video quality, camera quality and price, to name some. 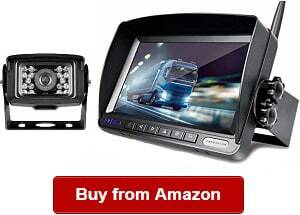 So for a guide on how to choose the best RV rearview camera system, keep reading. Later, we’re also featuring the best products in the category to help you compare and select the right one for you. 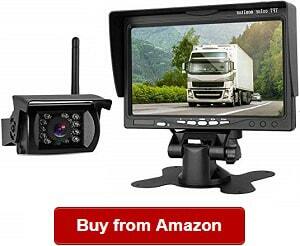 The wireless backup camera for travel trailer is one of my favorites in the category. It comes with a 7″ Display. The Rear View Safety RVS-770613 is one of those recommended wireless backup camera when it comes to performance. For one, it has its monitor, so we don’t have to buy a separate monitor. You will love that it can also blend and adapt well with the camera. You will also appreciate the impressive signal-to-noise ratio, and this feature works by minimizing any visual and static artifacts to be on the display. I also love the high image resolution of 1440 x 234 pixels that delivers clear images of the objects and any obstacles, which are located on the rear side of the recreational vehicle brightly and clearly. Another thing to appreciate about the backup camera is its ability in displaying grid lines. This feature is valuable when it comes to informing us about the exact space, which is behind us. The backup camera for the RV is also resistant to water for its rating of IP69K, making it an ideal choice for travel trailer use. Another thing I want to take note is its 18 infrared lights, which can let you see even objects or obstacles located far away up to 50ft in the dark. One more thing I would like to highlight is its auto-dimming feature. And depending on the ambient light, the brightness of monitor will automatically adjust. This unit also has a built-in microphone and speakers, which can also give aural information. However, one negative about this unit is its narrow viewing angle. 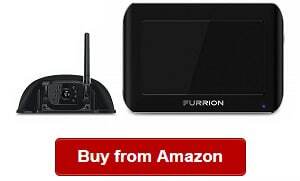 Drive safely with the Furrion FOS43TASF, one of the most innovative of its kind on the market. With it, you can rest a little easy when driving your RV because it offers assistance you need to stay safe on the road. I noticed that the Vision S system offers surveillance and motion detection, one of its top features. You can use it on the rear portion of the vehicle to assist over a doorway or offer rearview assistance for more security. You will also like its optional parking line, which you can turn on/off and features rear assist gridlines and distance grid lines. No matter the ambient conditions, you can rely on the Vision S that can adjust automatically so that you can easily read what is on the monitor. This camera can adjust automatically for contrast, brightness and color. So whether you’re driving day or night, you don’t have to worry about not being able to see clearly, when you have the Vision S with an anti-glare monitor. Another thing I liked about the Vision S is that it boasts an excellent digital wireless technology, which works effectively when it comes to getting rid of interference and blind spots coming from the environment. 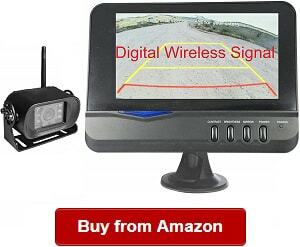 The RV trailer monitor display wireless camera is also chosen by truck, bus and camper drivers because of its advance technology. This unit has an automatic motion detection function. If it can sense any movement, it will turn on and show you the image. Such feature can also add to your family’s security. Another thing I liked about it is the IP65 rating. It only means that the device is protected against water and outside element exposure. The unit also comes with an infrared night vision, allowing you to see clearly at night. However, this system is a bit more expensive than other systems featured here. But then, it is still one of the best choices if you’re looking for a durable and dependable RV backup camera system for your vehicle. The camera and monitor system is a reliable and versatile unit ideal for the trailer, truck, RV, camper and other vehicles where a backup camera is needed. One of the things I noticed is its waterproof ability of IP69K. This feature is useful because it only means that the camera can work even on a bad weather. It is built to last and deal with the harsh outdoor conditions and elements. Speaking of conditions, the camera can work brightly even on a foggy day or in the dark because of its night vision ability. I also liked its wireless range reaching up to 450 feet in an empty and open area. When it comes to the vehicle range, this model can work from 70 and 80 feet. The Emmako Digital Wireless Backup system also includes a longer and stronger antenna along with a 12ft extension wires. These additions can make it work better for special use/application or enhanced signal. Another thing that makes this wireless system a great pick is it offers no interference but smooth performance for car speeds reaching up to 100 mph. 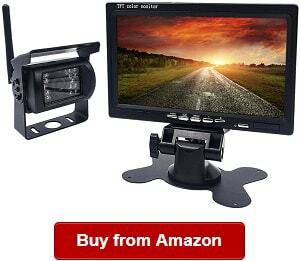 This system does not also require buying a separate monitor because it is a complete backup camera and monitor system. 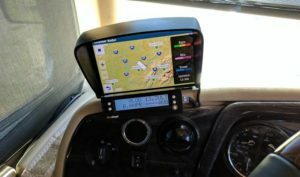 This unit also has a 7-inch monitor that offers a two-way video input as well as three mounts for the monitor, allowing for fixing it on the windshield or dash or hanging it anywhere. On the downside, this product may be a bit tricky to install. However, you should not worry because it comes with an easy to follow instruction on how to do it properly. Plus, you won’t want to miss great performance features that make it one of the best picks for backup camera and monitor system. 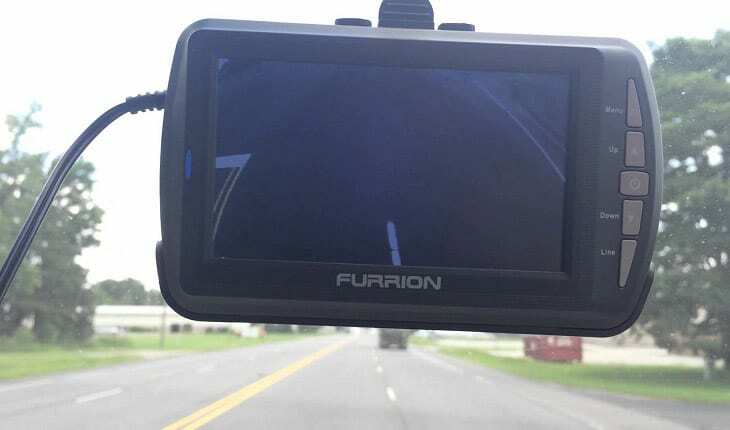 You might also want to take a look at the eRapta Backup Camera 2.0 with Split Screen Monitor if you’re finding a camera and monitor system for the tractor, box, trailer, truck, bus or fifth wheel. It is an essential if you need help for parking, reversing or backing. 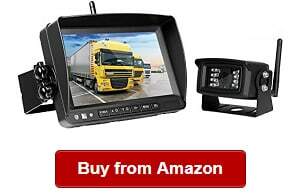 This camera with split screen monitor also offers excellent help for blind spot assistance aside from when revering, parking or backing. It can also supply you with a clear image all the time. You also don’t have to worry about distortion with the smooth and no-distortion operation it can offer. You can also rely on the camera and monitor system if you want one that can operate even on a foggy weather or at night. It can keep clear and smooth operation so that you can expect additional security and peace of mind when driving your RV. With more confidence and safety, you can enjoy RV traveling or camping with your loved ones with better security. Another thing I liked about the eRapta Backup Camera 2.0 is its 2-year factory warranty, which can offer you with more peace of mind. Overall, the eRapta Backup Camera 2.0 is for RV owners who are shopping around for that perfect backup camera and monitor system for their vehicles. It is made of high quality and durable components that can last long for years of service. However, finding the perfect viewing angle can be a challenge. But then, its reliable and durable features still make it one of the top camera and monitor system picks on the market now. 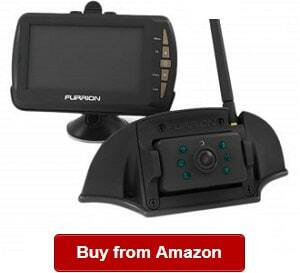 The Furrion 381556 is one of my favorite backup cameras on the market for its outstanding features and top performance. One of the things you will appreciate is that it is a complete system that has all you need to set up and use. This observation system is boasting its excellent features that include all the latest when it comes to wireless technology. It has the ability of getting rid of any interference from the outdoors. Another thing I like is its infrared wide-angle lens camera that can lock to the 4.3-inch display. This screen has a good technology that is able to do smooth video transfers especially for vehicles reaching up to 100 feet. We need a backup camera like it when driving our RV to keep us safe on the road by giving us a clear view of the objects and obstacles near our car or travel trailer. It is one of the most valuable tools that we should not miss investing on. The wireless RV rear view camera is a great wireless observation system, coming with a wide-angle lens camera that can give us a clear view of the outside environment. It also comes with a mounting bracket, so we don’t have to spend on one separately. Video transfer is also great aside from delivering clear images and view of the outdoors. Another thing I like about it is its night vision feature that can provide clear picture even up to 26 feet away. It is one thing to ensure we can drive safely even in the night and dark areas. I also recommend it because of its climate smart design, making it suitable for outdoor conditions. This unit also has an external antenna that delivers a better performance. On the downside, this unit has a smaller display versus other products in the same category does. In addition to an easy RV backup camera installation, you can also rely on the unit that is a complete kit with a receiver and transmitter along with other items, having all the things we need when installing a new backup rear view camera in our RV. We need a wireless backup observation system in our recreational vehicle or travel trailer for our safety when traveling with our vehicle. One of those we can depend on when it comes to camera systems for extreme outdoor conditions is the Camecho RC Car Backup Camera that is also lightweight and has a moderate size to fit most RVs, farmer car, truck, vans, campers and trailers. It can also be used for marine environments and stand the test of time for its durable and high quality construction and build. I also like its stable wireless signal. It has the ability of transmitting distance of up to 40 feet, based on the environment. In addition, this model can also support two-channel video inputs, NTSC or PAL optional. Another thing I like about this unit is it allows roof or dashboard mounting. You can also rely on it for allowing you to rotate the images either vertically or horizontally for normal or mirror viewing by button. It is also made of high quality and durable materials, including its hard metal case for the camera, which is also mud- and waterproof, so you can look forward to long time use of this backup camera system. 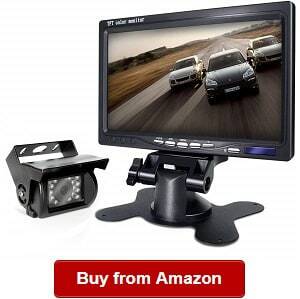 It is one of the best backup cameras around because it is also easy to install. Also, I like that it comes with all the needed parts you will need for the installation and technique supporting. I also would like to recommend it for its ability of switching to rearview when the car is reversing. On the downside, it can be quite hard to look for a good viewing angle. When shopping around for a new wireless RV rear view camera, you should be looking into performance and quality of the product you’re buying. This one can help you navigate the road safer by letting you see obstacles, cars or objects near your recreational vehicle. One of the things I also love about it is that it can help drivers do a reverse without any hassle and with safety. Now, we can get decent image quality that lets us be more confident when driving. It is also a helpful tool when parking especially in tight areas. This tool is also needed when driving in the dark or the middle of the night. I also would like to recommend this unit because it is from a top brand that has an amazing customer service, giving consumers peace of mind of getting help when needed. It also has reliable technical support team. The product is also backed by a two-year warranty. They can also replace your unit if it is defective. It also has two video inputs as well as an AV2 connector needed for reversing. The other connector is for a front video or second side or video equipment. The model also allows for a second camera addition. I also love that this unit is waterproof, so we don’t have to worry about it malfunctioning when exposed to rain and other outdoor weather conditions. It also has a great night vision and CMOS sensor and has 18 infrared lights. On a negative note, its screen resolution needs improvement. If you’re looking for a great trailer observation system, you might want to take a second look at the Furrion FOS48TA-BL. It is not just a top-rating product in the category but it is also a great performing unit that we need for driving safely in dark places or at night. I like that it is a complete kit that makes installation a breeze. 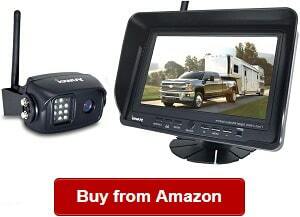 This wireless backup camera for 5th wheel RV comes with a camera and a monitor. One thing I have noticed is its top ability for providing rear view for up to 100ft. There is no hassle in its use at all because we can also rely on it for the clear images of the objects and obstacles behind our vehicle, keeping our driving safe. This camera system also offers an upgraded CPU that has up to five times signal stabilization, which makes it ideal even for use in harsh outdoor conditions. It is what makes this RV observation system one of the best when it comes to high-speed and clear observation. You can also rely on it for its infrared camera streaming ability. While the screen is only 4.3 inches, it can display clear, vivid images that help us navigate the road safely even in the middle of the night. It also comes with an outdoor antenna, allowing for long distance signal transfer. Another thing I like about it is its wide-angle lens that delivers clear view of the road. On the negative, this unit does not include a mounting bracket, so you must buy one separately. The 4Ucam Digital Wireless Camera is one of the highest rated backup cameras on the market and for reasons. You can rely on it for its top performance and great design. One thing I like about it is its large screen display of 7 inches, bigger when compared to other products in the same category are. It can be used as an RV towing camera because it can deliver clear images without statics and interference, giving great picture quality all the time. 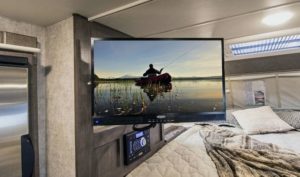 Another thing I love about this unit is its clear digital video display that lets us see the objects and obstacles on the rear side of our RV, travel trailer, camper or van. With it, you can navigate the roads and highways safely even in the middle of the night. Aside from allowing an easy and quick installation, the commercial grade backup camera also has a sturdy and compact design and construction that make it suitable for marine use and outdoor environments. Overall, this unit is a great pick if you’re looking for a competitively priced backup camera that offers great picture quality and without static and interference. On the downside, the image quality can be affected when the display reflects off the glass where you have installed your unit. In this case, you might just have to adjust or reposition the unit for a better angle view and prevent reflection to affect the quality of the image displayed. If you’re shopping around for the best backup camera kit for your travel trailer or camper, you shouldn’t miss the Backup Camera Monitor Kit by Coolwoo. It is one of the most reliable observation systems to buy for your RV. It is also ideal for oversized vehicles, bus, truck and trailer. The backup camera is complete kit that has all the things you will need to install and use it right away. It has a night vision quality that helps you see even in the dark. Thanks to its night vision camera that comes with six layers of filter plus a built-in CCD chips. The infrared night vision camera for the recreational vehicle and other large vehicles can also deliver sharp image displays for the wide-angle view of up to 175 degrees and 8 infrared LEDs. In this case, it can display a great visual with its night vision that can be as bright as when used in daylight. Another thing I like about the Coolwoo Backup Camera Monitor Kit is its HD and large display with a great resolution of 800 x 480. It also comes with two video inputs, and it can support DVD, too. The brand has also made sure that you can park your vehicle easily for its parking assistance system monitor, ensuring you will also appreciate a high definition experience. In addition, this model comes with an automatic switch function that works perfectly when trying to back up. 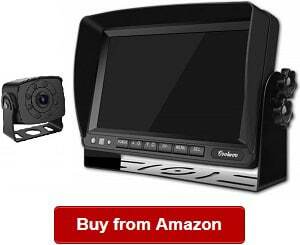 This backup camera for the RV is one of my favorites in the category for its superior function and features. One thing I like about this is its versatility to work for many types of oversized vehicles, including trailers, trucks, vans, campers, buses and so many more. It is a complete system to provide side, rear and front views, allowing drivers to see what are behind them even from far away. That is one of the most important things when driving with a recreational vehicle because it is needed for safety. You will also appreciate the best RV backup camera system for its IP69 Waterproof rating, which makes it ideal to deal with the tough outdoor conditions and changing temperatures. By being waterproof, we can also rely on its durability for long years of service, giving us the most value out of our spending. This unit also has a large seven-inch display that gives us ease in viewing versus other models with smaller screens. So even if you have poor eyesight, you don’t have to worry about anything with the large screen display. It is also a complete kit that offers quick and easy installation. All you need to do is to hook the power supply and the antennas. When done, it is ready to transport video signals to your screen. However, this unit is a bit more expensive than other products in the same category. If you have been reading RV rear view camera reviews, you have probably bumped into one of the reviews about this digital backup camera. It is one of the top selling RV backup cameras for fifth wheel, caravan, camper, trucks, trailers, buses and other large vehicles. It is a top performing product in the category because it offers no interference, allowing drivers to view the images on the road without interruption. This camera system for the RV offers a system range of up to 450 feet without flickers. It can also provide side, front and rear viewing that makes it a great choice when shopping around for a new backup camera for your vehicle. Another thing I noticed is that it can provide clear video signals even with a car speed of up to 100 miles. With clear and smooth view of the obstacles and objects on the road, we can be sure that we can drive and navigate the road safely. This product is also very easy to install because you have to hook power supply and antennas on them. 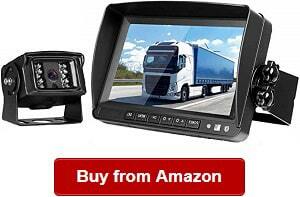 It also has the ability of eliminating blind spots and transporting video signals without any hassles. You can also rely on it when trying to do a reverse or to park your car or vehicle without relying only on the side mirror of your vehicle. The backup observation system is also IP69K for waterproof ability. On a negative note, this unit has a narrow viewing angle. The best wireless backup camera for RV should possess the features that can make it a great one. A product that also stands out is the ZEROXCLUB Digital Wireless Backup Camera System Kit that offers no interference and no static viewing. I also like its large LCD display at seven inches, larger than other models in the same category. I would also like to recommend it because of its upgraded features for a wireless camera system. The signals can stay clear and smooth even when running at speeds reaching up to 75 miles. It is also one of the most advanced units in the category. Aside from being versatile to suit camper, trailer, truck, van and RV, it also comes with 18 infrared lights along with a CMOS sensor. 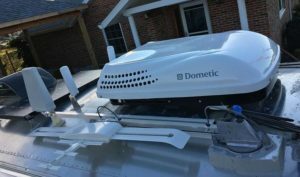 This unit is also easy to install; in fact, reviews revealed that it only took many users up to only two minutes to install it on their RV. With an easy installation, you can use it as soon as it is completed. When reversing, the unit will automatically turn on and then switch to rearview camera. It is an intelligent feature that I like about this product. It is also compatible for use in many types of vehicles because its voltage requirements can range from 12 and 24 V DC Power that can accommodate a wide range of vehicles. Another thing not to forget about this product is its excellent night vision display for clear viewing even in dark places and in the middle of the night. On the negative, its warranty can be improved. Just like a Furrion RV backup camera, this model is also a great choice for its plenty of features and outstanding functions. It has a large 7-inch display wireless monitor that delivers clear and vivid picture quality. Another thing I also like about this product is the ease of installation that can only take one minute. All you have to do is to connect it to the unit’s DC12V-32 so that the reverse system will start working. With this Digital Wireless Backup Camera, you don’t have to spend so much time inn installing. It also saves your money because it is s durable unit made of high quality materials and excellent design. The camera is also IP69K Waterproof rated, so it can deal with the rain and other harsh weather conditions outdoors. It also has a DIY design that is not just easy to install but can also be mounted and used fast. The upgraded digital camera requires no additional wiring because it is totally a wireless system that works. You can also rely on it even if you have a large vehicle of up to 150 feet. Even so, it can still transmit clear and smooth video signal. In addition, the unit can work even with a car speed of up to 70 miles per hour. On the downside, the signal quality can be affected if the vehicle is running more than 70 miles per hour. This wireless mounted camera is one of the best in the category because it performs well and has an excellent design. When shopping around for a new backup camera for your trailer, truck, bus or recreational vehicle, you might want to take a second look at the Tadibrothers RV Backup Camera. It has a clear and large display that lets you view images easily. This product is a great addition for assistance in driving, as you can read in many Tadibrothers wireless RV backup camera reviews. So if you’re shopping around for a backup camera to work and provide assistance when reversing, parking or driving, you might want to consider this product. I also notice that it can provide the entire picture of what is behind the vehicle in clear, vivid and fantastic colors. Another thing I would like to note is that it comes with a thin LCD screen, which is also lightweight. I also appreciate that it is compatible to work with most types of cameras around. It also offers a wide viewing angle of up to 120 degrees. You will also appreciate that the unit is waterproof to deal with all types of weather conditions. This box camera also includes a metal sun shield visor that can protect it from pebbles and you from glare. This unit is also a top choice among drivers because of its housing that makes it easy to install on the different sides of the recreational vehicle. You also don’t need to run cables because it is a wireless observation system. On the negative side, it might not work well for ranges over 50 feet. 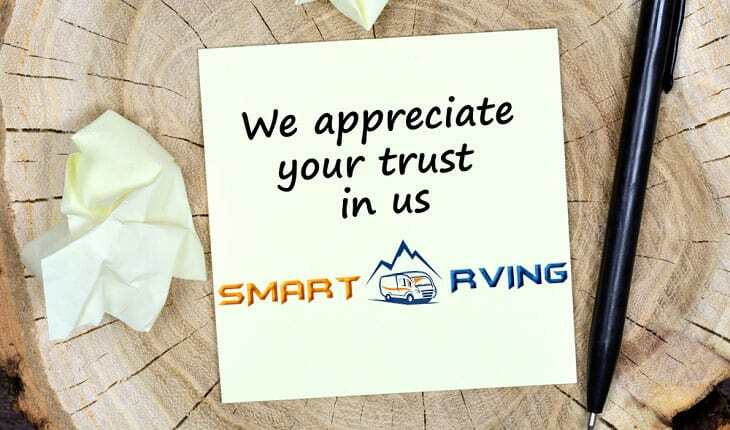 Trust Smart RVing for recreational vehicle guides and information! We’re a group of real RVers that have many years of experience in caravanning and camping with our RVs. Through the years, we have made ourselves familiar with the gadgets and products that recreational vehicles need for convenience, safety, and other benefits. In this guide, we have featured the high quality RV backup camera systems, but we did not just pick the first products that we have come up with online. What we did was looked into some factors including performance and durability. Before including the products in our reviews, we have also looked into their features, such as DVD, video inputs and number of cameras supported, to name some. I have also looked into the benefits to own those products we have featured here. 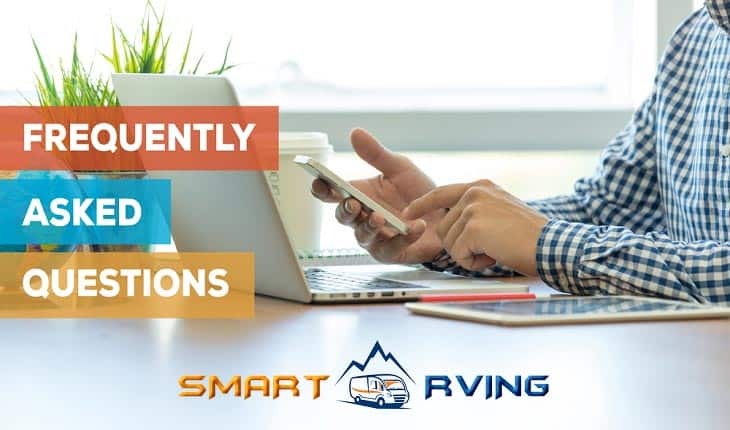 Nevertheless, you should trust us because we envision sharing our knowledge and experience in RVing and are passionate about helping fellow RVers looking for the best and competitively priced products, gears, equipment and accessories for their recreational vehicles, trucks, travel trailers and buses, to name some. Now if you want to get started comparing the best recreational vehicle backup cameras, you can refer to the guide we have made for you earlier. 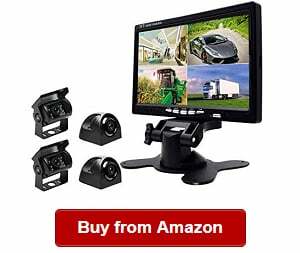 A portable wireless trailer camera system or an RV backup camera is a specially designed rearview camera system that works with clear night vision. The best ones can provide assistance when parking or making a reverse, increasing driver’s safety. This backup camera system can also supply clear and vivid video signals even if you’re driving at top speeds of at least 50 miles per hour. This system is also made of weatherproof and waterproof materials. It is ideal for the harsh weather and temperature conditions outdoors. Many of them are rated to withstand the rain and other harsh elements. You can also rely on these observation systems for providing clear images of the objects or obstacles behind your vehicle, again increasing driver’s safety. If you’re looking to increase safety while driving with a large vehicle like a trailer, truck, bus, camper or recreational vehicle, you should not miss but invest on one backup camera system. 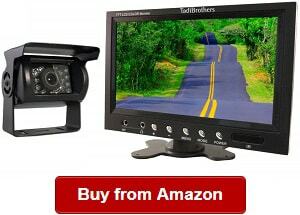 For a start, you might want to take a look at the products we have reviewed, such as the Tadibrothers backup camera reviews. There are two types of recreational vehicle backup camera systems to choose from and install. We have highlighted them in the following. If you’re looking for reliable and high quality camera systems, you might want to take at look at this type. It can offer top quality images and have good night visions. However, the installation process is not easy especially if your RV isn’t wired yet for the camera system. If you don’t want to experience the inconvenience and hassle as well as want to prevent guesswork or trial and error, you should consider hiring a professional to install the camera system for you. 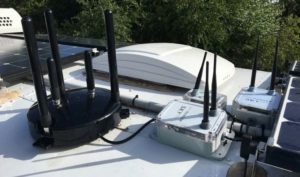 Especially for longer vehicles, the installation can take even longer, making a wireless system a more practical option. This type does not require running wires or cables in your vehicle. The problem with such systems is that they can be prone to static and interference. In addition, some of them may give poor signal for a larger RV or vehicle. 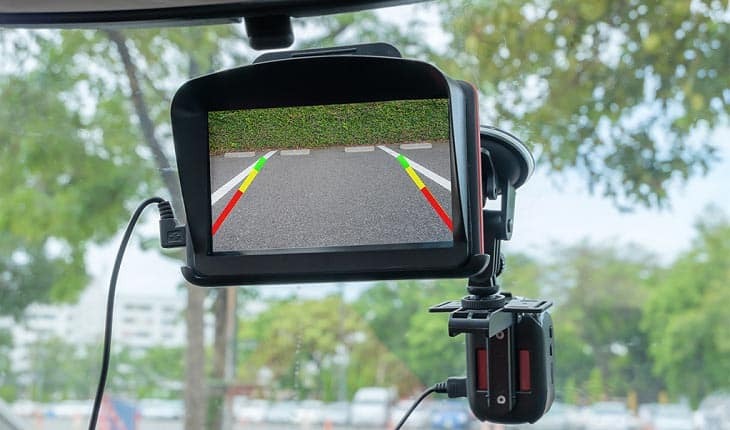 On the other hand, the problem about interference can now be eliminated because many backup camera systems for the recreational vehicle are digital. These digital signals are better than those from older models are. However, there can still be instances of interference. 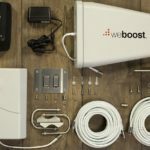 These wireless systems are also very easy to install. Just refer to the specific maker instructions for the details. Generally, the installation process can take only up to two minutes or even less in select models that we have featured earlier. 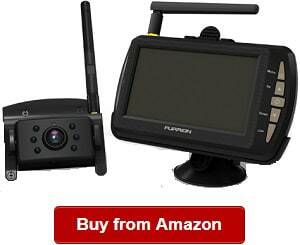 Many of them also come as a complete kit with a monitor and a rear camera with attached transmitters and receivers. 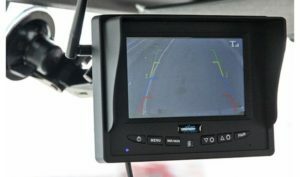 There are many reasons to invest on a recreational vehicle backup camera, and some of them we have highlighted in the following section. One of the main reasons to invest on a backup camera system for the recreational vehicle and other large vehicles is on safety. The best of these observation systems can provide us a clear view of the obstacles and objects behind our vehicle even from far away. It is why buying a rearview camera system is very important. Even when driving in dark places and nighttime, we can also have a clear view of the things behind a large vehicle with the night vision and clear digital signals that this system can provide. Another thing that makes it great to own a trailer backup camera has to do with the convenience. As the best ones are wireless, they do not require cables or wires to run in our vehicle. 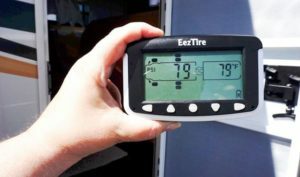 The installation process is quick and easy, and it won’t require hiring a professional to do it versus a wired system. So if you’re looking for an easy to install or mount system, you might want to consider the systems we have reviewed in today’s guide. Many of them can be installed in two minutes or even less. Nevertheless, these systems are also not complicated. In fact, they can also provide us with assistance when we need to park our car or make a reverse. Many of the best observation systems are waterproof. They are unlike traditional backup cameras on the market because they can deal with the changing weather and temperature conditions outdoors. If you’re going to install one on your vehicle, such as a bus or truck, you can look forward to years of use because the best of them are also shock proof and weatherproof. But for the best results, be able to compare the products and look for those with high waterproof rating if this is an important feature for you. The best systems are commercial grade and made of high quality materials. For example, some of them come with aircraft grade materials also translating to their durability to withstand the test of times and wear and tear. If you’re looking for a durable and sturdy product, you should go for those that come with a hard metal housing or casing, for instance. Seeing clearly at night especially when traveling at long distances and challenging terrains is very important. It is one of the main roles of a backup camera system for the RV. It works with a night vision that allows clear image viewing at night. The best products on the market come as a complete kit. Some of them even include a mounting bracket. So when shopping around, be sure to look for one that has all the items and accessories you need for easy and quick installation out of the box. Before shopping for an RV backup camera system, you should look into some factors to ensure that you’re buying the right product you need. Check out the following for some of the considerations we have looked into when picking the products to include in this review. Remember that you will use it at the rear portion of the recreational vehicle, so it is important to choose one that can offer supreme video quality. That is why it is also better to opt for a digital video signal to avoid much interference and static. When judging video quality, things like the cables, screen and transmitter can also affect it. When choosing an RV backup camera system, you should also look into the camera quality. It should let you choose infrared, colored, night vision and black and white. The quality of the camera has much to do with the images you will receive on your screen. When shopping around for a wireless backup camera, you should also go for one that can offer you with mirror image capability so that you can reverse quickly and easily without relying too much on the side mirror of your truck or trailer. Just as when shopping any other products for our RV, we must also look into the price of the camera system we’re buying. In the above reviews, we have chosen observation systems coming from different price ranges so that you can compare them not only based on their features but on the amount of money to spend on each of them. Remember, you might have to buy a mounting bracket in some models, so you can factor that in as well. You won’t want to buy something that takes forever to install. Choose an easy to install product for convenience. We do hope you picked up something from these features and things to consider when buying a new backup camera system for the recreational vehicle, travel trailer or camper. From these things including mirror capability, video quality and camera quality, choose the best observation system for you. A: The best ones can be mounted or installed on any sides of the recreational vehicle due to their ideal shape and design. Nevertheless, you can also check the user manual for directions from the makers themselves. Q: How to install RV backup camera? A: The specific instructions are on the user manual that comes with every purchase. In general, you just have to hook the antennas and power supply so that the reverse camera system can start working. But for specific details, you should consult the maker’s instructions. For example, you can refer to Tadibrothers wireless backup camera installation for a specific Tadibrothers backup camera. Q: How to wire RV backup camera? A: Generally, you can find the specific instructions on the manual that comes with your purchase. If you’re unsure on how to wire yours, you might also want to call their technical support for assistance. Q: How to fix RV backup camera? A: It is best to hire a professional if your backup camera needs repair. The pros can troubleshoot or detect problems with the backup camera. In some cases, you might want to consult the manual, for instance the Tadibrothers backup camera troubleshooting, for some troubleshooting guidelines for easy to fix issues. A: They work without requiring running cables in your vehicle or car. It is one of the most innovative features that they possess versus wired systems. Many of them basically let you park, do a reverse and drive safer even in dark places and in the middle of the night. The best ones can also deliver clear and vivid image quality due to their excellent screen resolution. Q: Wireless obseRVation system vs. backup camera system: what is the difference? A: Their difference lies in the features that each of them has. It also varies from one maker to another. Basically, each of them is a good backup camera for a large vehicle like a recreational vehicle. Nevertheless, you don’t have to pick one that comes with many bells and whistles that you don’t need. 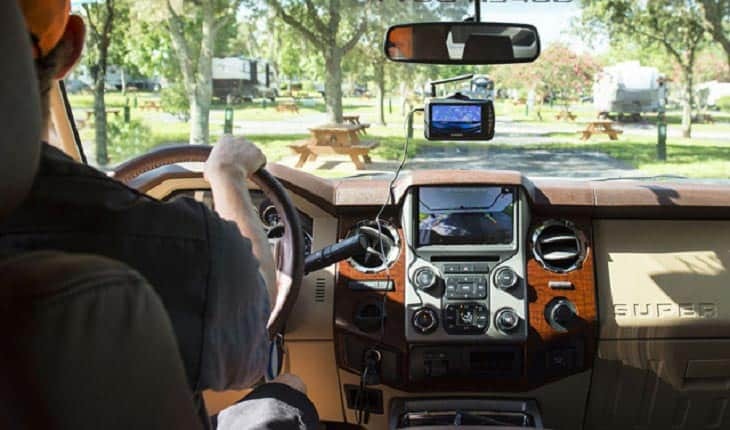 There you have some things to consider when shopping around for the best backup camera for the travel trailer, camper, bus or recreational vehicle, or any other large vehicle for that matter. 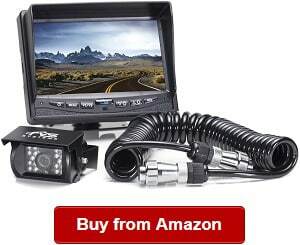 You can start referring to the product reviews we have featured to select your RV backup camera system. Hope we’ve shed some light to help you pick the best RV backup camera that can keep you safe on the road and happy when traveling with your recreational vehicle. Are you looking for best TVs for RV, best TV antennas for RV, best WiFi boosters for RV, best cell phone boosters for RV, best RV GPS and best RV tire pressure monitoring systems in RV Electronics. We do hope you find them useful! I read a Cool and informative article many days later.Thanks for your good job and Keep going.Your FAQ helped me a lot. Thanks again. Haloview is the best one, both the quality and price.